You are here: Home / Muscle Building / DMAA, Methylhexanamine, 1,3-dimethylamylamine Supplements. DMAA is Methylhexanamine or 1,3-dimethylamylamine. It is an organic compound used to enhance performance and increase metabolism. DMAA is a simple aliphatic amine initially patented as a nasal decongestant and as a topical treatment for hypertrophied or hyperplastic oral tissues. DMAA is a vasoconstrictor, and has also been marketed extensively under many names as a dietary supplement, but its safety has been questioned as a few adverse events have been associated with DMAA supplements. In April 2013, the U.S. Food and Drug Administration warned supplement makers that it was illegal to market methylhexanamine as a dietary supplement. In April 1944, Eli Lilly trademarked methylhexanamine, as Forthane, for potential use as a nasal decongestant. Forthane was also patented as a nasal decongestant and a treatment for hypertrophied or hyperplasic oral tissues. DMAA use is not mentioned in historical medical literature, and no medical use of methylhexanamine is recognized today. 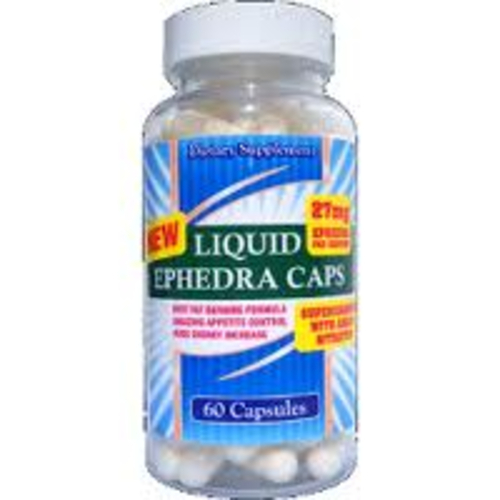 Patrick Arnold reintroduced DMAA in 2006 as a dietary supplement, after the final ban of ephedra alkoloids as a dietary supplement in the United States in 2005. Arnold introduced it under the trademarked name Geranamine. A large number of supplements focusing on fat burning and performance enhancing workout energy now use the ingredient in concert with other substances such as caffeine, a combination similar to the combination of ephedrine and caffeine. DMAA is a pharmacologically active compound of synthetic origin. The single known reason for using DMAA in humans is pharmacological. The body absorbs DMAA easily, but slowly, when taken orally. Pharmacological effects after oral intake can be expected on the lungs, and the nasal mucosa following a single oral dose of about 4–15 mg. Pharmacological effects on the heart can be expected following a single oral dose of about 50–75 mg. Pharmacological effects on the blood pressure can be expected after a single oral dose of about 100 mg. Because of the long halflife, there is a risk that repeated doses within 24–36 hours could lead to steadily stronger pharmacological effects (build up). Supplements containing more than 4 mg DMAA should be treated as subject to the Medicines Act and require licensing as a medicine. Dosages higher than 100–200 mg are expected to cause serious adverse events. The structure of DMAA have been described as similar to that of amphetamine. DMAA is synthesized by converting 4-methylhexan-2-one into the oxime, followed by reduction via sodium in ethanol. DMAA is a releasing agent of noradrenaline similar to related substances such as cyclopentamine and tuaminoheptane. Intended to be used as a nasal decongestant, muuch like ephedrine, DMAA has been marketed as a dietary supplement in combination with caffeine and other ingredients, under trade names such as Geranamine, Floradrene, Ignite, OxyElite, Jack3d, and Synderex to be used as an over-the-counter thermogenic or general-purpose stimulant. It is known to narrow the blood vessels and arteries, which can elevate blood pressure. DMAA has not been studied intensively and its pharmacological profile has not been evaluated since Eli Lilly filed its patent in 1944, stating that the stimulant effects on the CNS are less than that of the related compounds amphetamine and ephedrine. Health authorities in Hawaii linked cases of liver to OxyElite Pro. OxyElite Pro has been subject to an FDA recall as of November 10, 2013. The Oxy-Elite invoved in the occurances in HI have been blamed on fake bottles of Oxy Elite. DMAA supplements have similarly been linked to gynecomastia due to its mechanism of action and metabolites. DMAA containing supplements list geranium oil or geranium extract as a source of methylhexanamine. 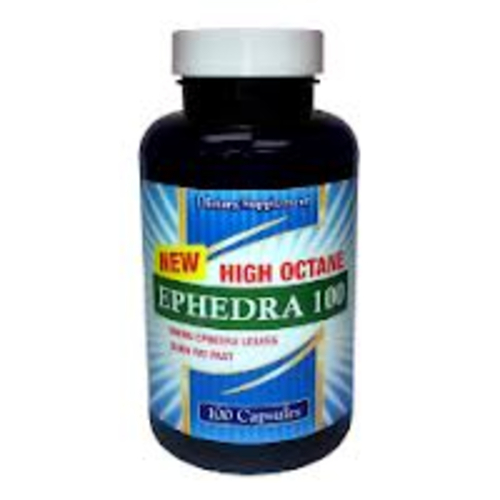 However, geranium oils do not contain methylhexanamine, and the methylhexanamine in these supplements is added in the form of synthetic material. A manufacturer sponsored study of 25 healthy men taking a DMAA preworkout sports supplement found methylhexanamine does not change resting heart rate, blood pressure, or affect liver and kidney function when used at recommended dosage levels. According to an additional four studies, DMAA did not seem to cause any negative effects to the blood, blood pressure or heart rate when taken by test subjects for a short period. The US military issued a massive recall of all DMAA containing products from all military exchange stores. After an investigation the army later found that DMAA did not contribute to any problems. These products are legal substances and, as yet, no link between DMAA and the medical conditions reported by military medical providers has been validated scientifically. The department of Defense has asked that the products be pulled from the shelves as a precautionary measure. The death of a runner who collapsed near the finish line of the April 2012 London Marathon, has been linked to DMAA. According to a friend the runner was diagnosed with an irregular heartbeat and advised not to consume methylhexanamine, it is believed that she consumed the substance through drinking an energy drink. Many professional and amateur sports bodies, such as the World Anti Doping Agency, have banned DMAA as a performance enhancing substance and suspended athletes that have used it. On 19 June 2012, the South African Institute for Drug-Free Sport confirmed the 2012 Comrades Marathon winner, Ludwick Mamabolo, tested positive for the banned stimulant. Mamabolo could face a two-year ban and be stripped of his title if found guilty by an independent tribunal. VFL player Matthew Clark was suspended for two years after the banned substance DMAA was detected in his system after a game in 2011. US Weightlifter Brian Wilhelm accepted a nine-month suspension after testing positive for DMAA in a urine sample from December 2012 at the American Open. MotoGP rider Anthony West was suspended for one month by the FIM International Disciplinary Court on 29 October 2012 after testing positive for methylhexaneamine. Boxer Brandon Rios, after losing a unanimous decision to Manny Pacquiao, was suspended by the China Professional Boxing Association after testing positive for the drug. A number of countries have banned or heavily restricted the use of DMAA as a dietary supplement, due to concerns about its safety. These countries include the U.S., Canada, New Zealand, Sweden, Australia, the United Kingdom, and Brazil. Health Canada decided DMAA was not a dietary substance, but was a drug requiring further approval. Consequently, Health Canada banned all sales of DMAA. New Zealand formally banned methylhexanamine, citing its use in “party pills”. The National Food Agency of Sweden issued a general warning regarding use of methylhexanamine products, resulting in a sales ban in parts of the country. Australia banned DMAA, and U.K. Medicines and Healthcare products Regulatory Agency has ruled that the popular DMAA containing sports supplement Jack3D is an unlicensed medicinal product and that it and all other DMAA containing products need to be removed from the UK market amid concerns of potential risks to public safety. The FDA determined that DMAA was potentially dangerous and did not qualify as a legal dietary supplement, making it illegal to market DMAA containing products. I'm a life time athlete, 5 time overall bodybuilding champion, former national bodybuilding competitor. Played high school, college, and semi-pro football. Inducted in to USFFL Hall Of Fame. I have been a user of vitamin and performance enhancing supplements for 35 years. I have developed nutritional supplements, OTC diet pills, and been writing about fitness, weight lifting, and dieting for the past 20.